Sweet dreams and no more cold feet! An easy fitting sleep sack that can be worn over warmer pj’s, or worn on their own when the weather is warmer. You can make this sleep sack fully reversible, so you can play around with matching or contrasting fabrics and make a unique sleep sack. Such a comfortable wearable blanket that baby can’t kick off. With the diaper access option, you can opt to use snaps on the bottom of the sleep sack for an easy no-fuss diaper change at night. This is a very easy and fast sew - perfect for baby shower gifts! This pattern is suitable for beginner seamstresses. Basic sewing skills are all you need to create a professional-looking sleep sack. You don’t need a serger to create this sleep sack. Lacey: "This sweet sleep sack comes together so quickly and has the option of a partial lining or a full lining for an extra warm sleep sack. The instructions are clear with photos to accompany each step. Once you make one, you’ll probably end up making a few!" Danielle: "I love that it’s a sleep sack with sizes to get a good snuggly fit! It went together very fast and was easy and fun to make!" Mallory: "It was very clear and easy to use. Can be done in bout 30-60 minutes depending on skill. Perfect for a last minute baby shower gift." 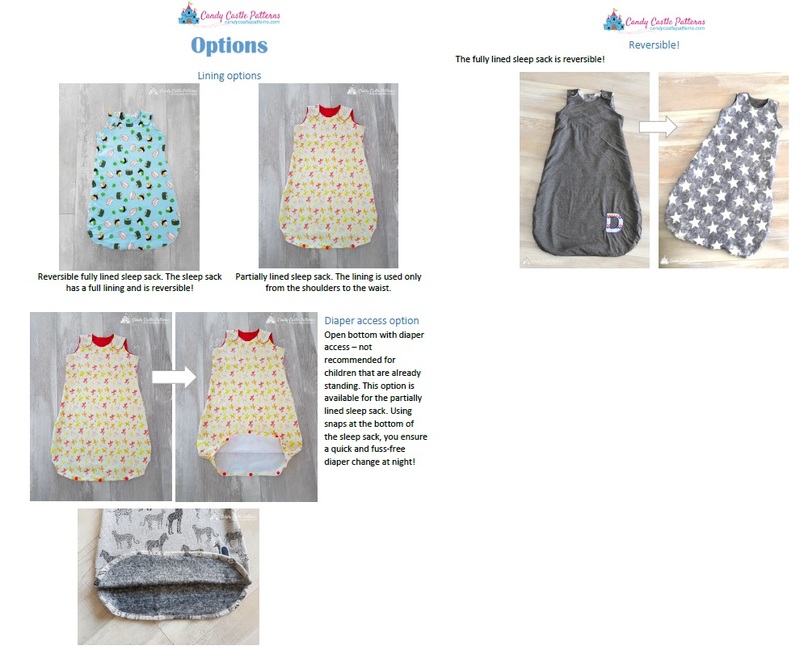 Angela: "This sleep sack is a great quick and easy project perfect for a variety of knit fabrics. Fit is generous so it is the perfect gift in any size and fun to personalize!"